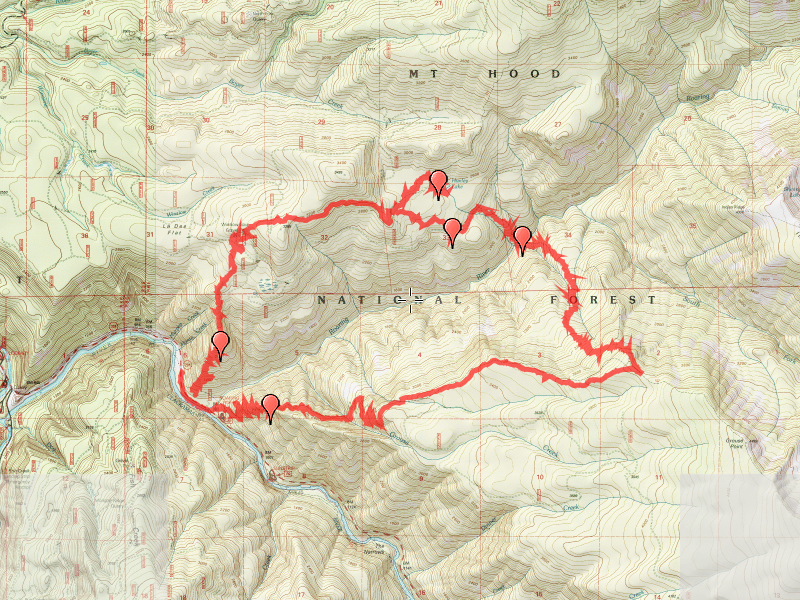 This was what I called an “epic” hike, since it is the longest and toughest day hike I have ever done. It covered somewhere between 18 and 20 miles, and had over a mile (5200 feet) of elevation gain. The hike started at an old, abandoned trailhead on highway 224 near Roaring River. We ascended out of the canyon up to the old Winslow gravel pit, took another abandoned trail segment up to Huxley Lake. We ate lunch there, and then came back to the 4611 road, and made our way down to the end where the Grouse Point trail takes off down the hill. 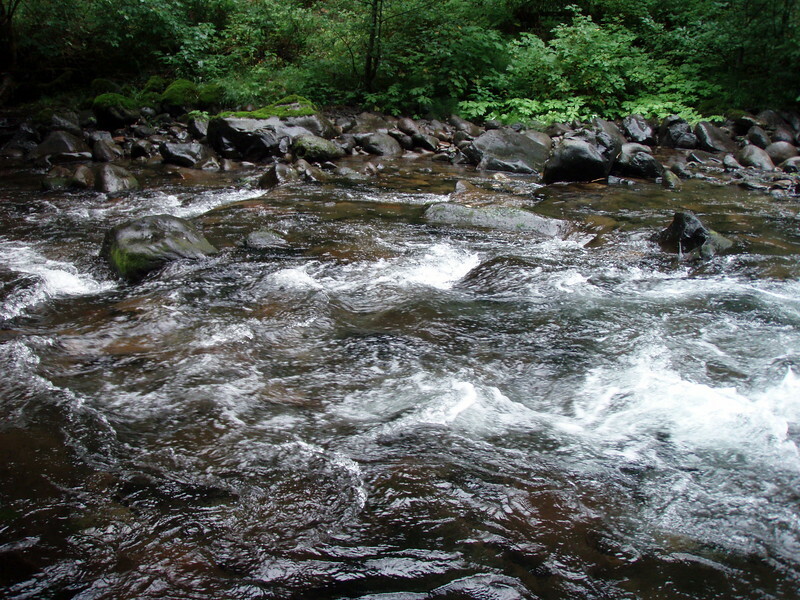 It drops down the hill to the Roaring River, where we had to ford. This was my first ever fast/high ford of a water crossing. The water was about two feet deep in the middle, and was running fast. We both made it across with no problems, and then wrung out our boots and socks on the other side. The trail is faint, and very steep in spots. Once up on top, we got to the Dry Ridge trail junction, and followed that trail back down to the Roaring River campground, and then back a short ways down 224 to our cars. It was quite a day, and by the end, my feet and knees were really feeling it. I was very proud that I was able to make the trip as well as I did. 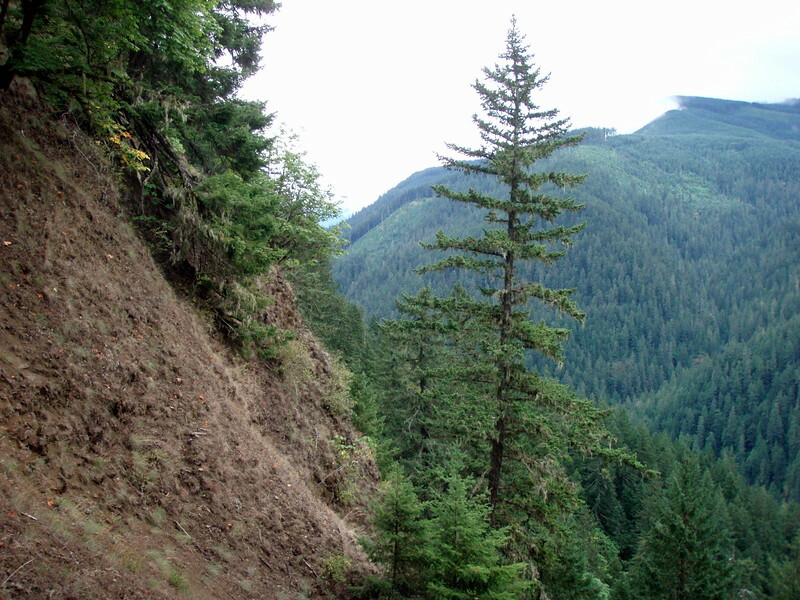 Some highlights: The trip up the hill had some magnificent old growth doug firs scattered here and there. 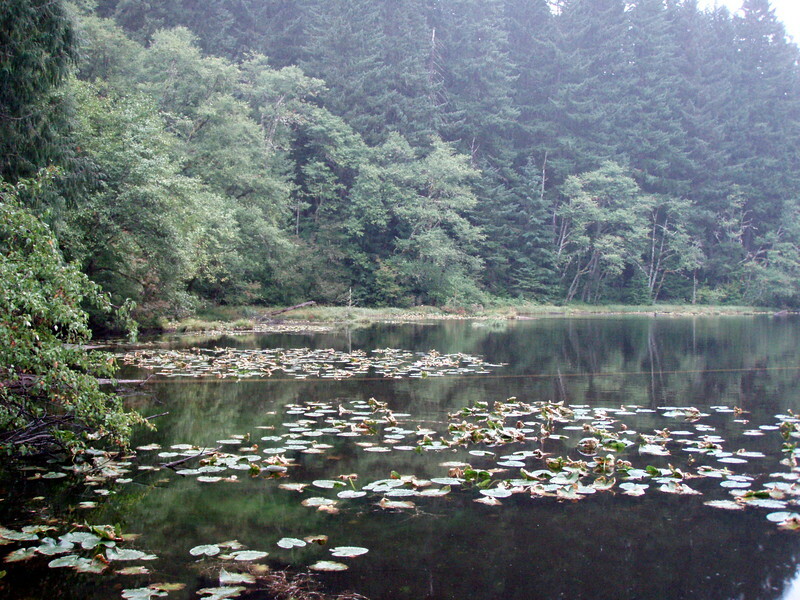 Huxley Lake is a beautiful small lake with lily pads. There were a couple of ducks there when we ate lunch. It is too bad the ATVs have ripped up the trail around the lake, but it is still very pretty. Finding the old trail from Winslow Pit up to Huxley Lake was an interesting exercise. It took a few minutes, and a little searching, but we found it. The crossing of Roaring River was a first for me, and it went very well. I learned a lot from Paul, and will make use of some of those skills in my future hikes.